Sometimes you run into occasions where you forget to turn your phone into silent mode before a meeting or the phone rings loudly when you are asleep etc. but now with this application you don’t have to worry about that. 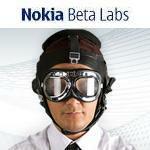 All you have to do is use this application to define how you want the phone to behave during different situations. This application runs in the background and if it notices that a meeting is marked in the calendar of the phone at a particular time of the day then this application will automatically disable the sound and you can also set this application to send a message to the callers. 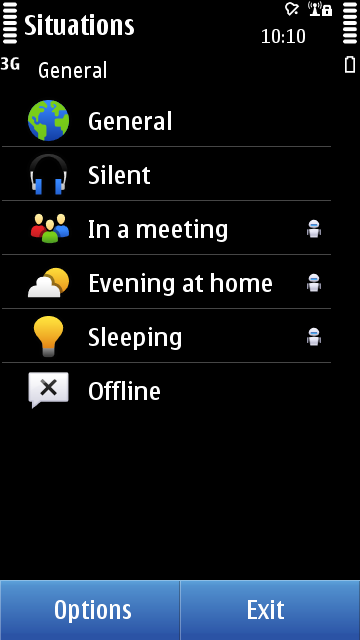 You can also set the time you sleep everyday and the phone will automatically go into silent mode during those hours. With Nokia Situations you will also be able to manually define the situations like ‘playing with kids’, watching T.V’, with this application running in the background, your device automatically senses the situation according to the preference and adapts to it. Change Ringtones: make the phone go silent or louder, turn vibra on/off, and all the other profile settings. Answer missed calls with SMS: Especially when you set your phone to silent, you can also make it reply to missed calls, from contacts in your phonebook, with a pre-defined SMS. Save Power: Like when in sleep mode the Bluetooth and other such power consuming applications will be shut down and the backlight will be dimmed to save the power. Change UI/Theme: If you want to make your phone look different in different situations then you will also be enable different wallpaper, etc. Scheduled: Set period of time, active days, calendar events etc. Location: Nearby, current location, from map, etc.